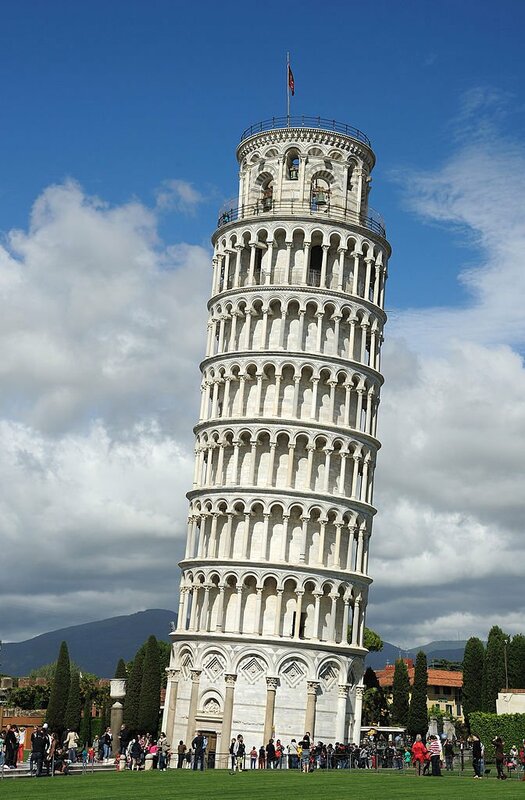 Experts have revealed that the Leaning Tower of Pisa, known worldwide for its precarious tilt, it’s now going straight. The 186ft medieval monument has been straightened by 1.5in over the past two decades, the team said. Back in 1990, the Leaning Tower of Pisa was closed to the public for the first time in 800 years amid fears it could be on the verge of toppling. At the time, it was tilting by 4.5m from the vertical. An international committee led by Prof Michele Jamiolkowski, a Polish expert, worked to stabilize the tower between 1993 and 2001. By the end, the tower’s tilt had been corrected by 45cm, at a cost of $240 million. The lean is as old as the tower itself, having crept in five years after construction began in 1173. The layer of clay and sand the tower is built on is softer on the south side than the north – so by the time builders got to the third storey, shifting soil had unsettled its foundations.